Are There Education Minimums To Becoming A Trucker? Who Can Take the Tests? Have passed a Ministry of Transportation (MTO) medical checkup. The checkup is taken at your own expense and will cost around $60. It will find whether you can physically handle the long hours and stresses of truck driving to make sure you won’t fall unconscious at the wheel. The checkup may find small possible problems, like high blood-pressure, poor blood sugar regulation, or asthma. Even if you have these problems, you can see a specialist to come up with a treatment plan that will make MTO happy and will allow you to move forward into challenging the tests. What is the maximum height for a truck trailer? What is legally required of a driver who discovers the airbrakes are not properly adjusted? You will have to answer questions both about heavy vehicle management, to get a class D license, as well as about airbrakes, to get the Z designation. To study, read both the D manual and the Z manual, available from the MTO website or from any vehicle registry office. The road test will be conducted on open roads in your community. Your instructor will ride along and run you through common difficult tasks, like merging, connecting to a loading dock, parking, and navigating dense urban areas. The road test should NOT be taken if you have never been formally trained, or driven a truck professionally. The test is expensive and difficult. If you have previously driven a truck without a license, but without training, you will fail. The best option if you have never driven professionally is to go through a training program. Many Ontario driving schools offer training programs in both French and English. The cost will be between $1000 and $4000, depending on the school and type of truck. Trucks with heavy transmissions or tractor trailers require a lot more training and cost much more to learn. Not only will a training program give you the skills to pass the test, but also they give you a certificate that decreases the insurance on trucks you drive. 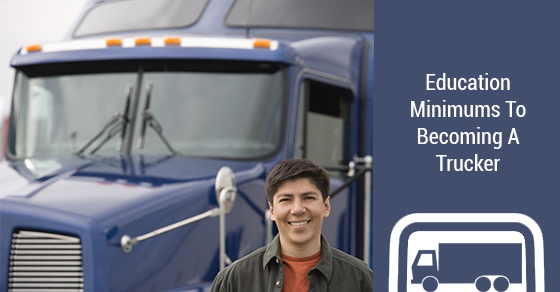 This makes you a much better candidate for trucking firms and rental agencies. So, while anyone who can pass the tests can be a trucker, it’s a good idea, if you can afford it, to still sign up for a formal training program.